We know that our oceans are currently being depleted by the international reliance and consumption of fishmeal. In fact, more than 90% of the large predatory fish like cod and tuna are gone. Yet the production of fishmeal has remained relatively constant over the past two decades, consuming about a third of the global catch of fish. We are talking about 30 million metric tons per year of which 70% is used to feed animals. What would an uncanny solution be to this problem? Maggots…And lots of them. “If it [fishmeal] doesn’t end up in our pet food, about 30% of all the fish caught from the ocean ends up on industrial farms being fed to chickens, prawns, pigs and other fish. Even the most efficient aquaculture operations require 2.3 kg of fish to produce 1 kg of farmed fish, only 30% of which is consumed by humans,” says Jason Drew in The Story of the Fly and How It Could Save the World. This fascinating new book was co-authored by Jason Drew, an international business leader, co-founder of AgriProtein and co-author of Protein Crunch, along with Justine Joseph, an award-winning science journalist. Here you can learn pretty much everything there is to know about the common household fly, and entertain the overall premise that fly larvae can and in fact is already being used to usurp the extremely unsustainable role of fishmeal. The concept is as follows: Flies mate, a lot. A female housefly hatches an egg which turns into a larva – a single female fly can lay up to 1,000 eggs. This larvae, which contains 55% protein can than provide a natural alternative to fishmeal as an animal feed – known as magmeal (maggot meal). In light of this discovery, Jason Drew and his brother David founded AgriProtein in Tulbagh, Western Cape in 2009. Their primary objective was to reduce and eventually eliminate the use of fishmeal in industrial farming by substituting it with magmeal. The fly farm has 22 cages, each one holding up to 750,000 flies. A million or so flies produce an enormous amount of CO2, which collects where the insects like to rest and essentially asphyxiates the flies. It is apparently impossible to give flies water without leaving them waterlogged or drowned. This, together with numerous other logistics issues caused the company’s first two years to be a strenuous process of trial and error. The company is now packaging their magmeal from larvae which are hatched and harvested within 17 days. This is how long they live before they turn into flies. In August 2012, the company produced 100 tonnes of wet larvae and 24.5 tonnes of magmeal. “We should embrace the potential of the fly as a protein source given their exceptional breeding rates and the fact that they are a natural food – tried and tested by Mother Nature for tens of millions of years,”says Jason. The book itself is one of only a few science non-fiction books that have the ability to make you laugh, grimace and be kept in awe, on a continual basis. 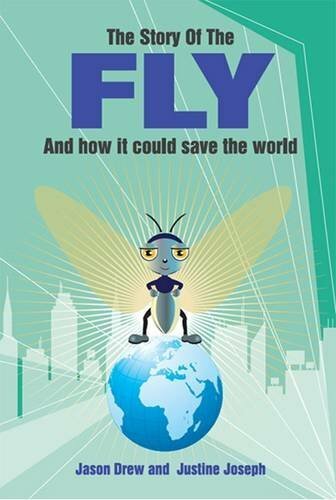 In fact my only criticism would be the front cover… I was embarrassed when reading the book in public, as a burly passersby couldn’t stop giggling at the sight of me reading something with what is quite possibly the cutest illustration of a fly saving the world, on the cover. Fortunately, I’m sure my bruised ego will be able to recover, as I now have an immense amount of knowledge about this normally irritating creature. One pair of flies could easily spawn 6-7 generations and quintillion offspring in just 5 months. If none were killed or eaten, that would be enough to blanket the entire Earth with a layer of flies 47-foot deep! Chemosensory hairs on the fly’s feet allow the fly to taste food by merely walking across it. Genghis Kahn’s armies travelled with cartloads of flies, whose larvae they used to disinfect their wounds. Flies have been around on Earth for more than 20 million years (surviving the dinosaur extinction). That’s about 19.5 million more than any form of human life. Blowflies can smell death from up to 16 kilometers away. This book might just contain some constructive and much needed ideas towards our mission of finding sustainable solutions to food security and saving our oceans. 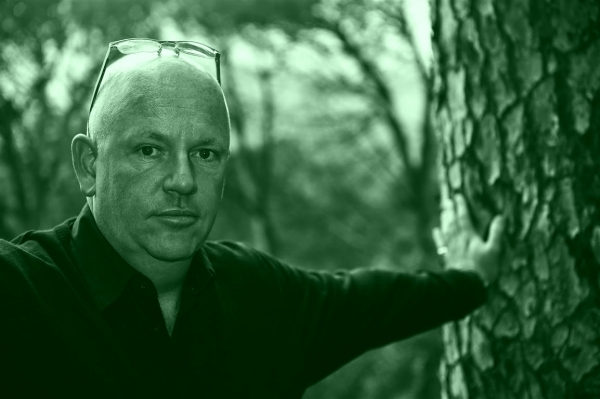 A must read for the new year – fresh perspective, new hope. For more information contact Hippo Communications on 021-5570246 and talk to Beryl or Linet.